The cause endures, the dream will never die. CAPITOL HILL. 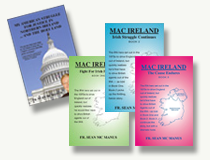 Thursday, January 22, 2015 — Last night Capitol Hill was abuzz with all things Irish — immigration reform, support for the peace-process, and yearnings for the unification of Ireland. The event was held in in a Congressional office and sponsored by the Council on American Irish Relations — in Cooperation with Congressman Richard Neal ( D-MA) and Congressman Joseph Crowley( D-NY) — to welcome the new Irish Members of the 114th Congress. It was Congressman Crowley who expressed the afore mentioned yearnings for a United Ireland when he spoke. One of the new Members of Congress, Brendan Boyle, spoke movingly and proudly of his Donegal roots — his father being from that County. Minister of state for the Diaspora, Jimmy Deenihan also addressed the gathering. Fr. Sean Mc Manus — President of the Capitol Hill-based Irish National Caucus — said:”it was good to see all the continued interest in Ireland. 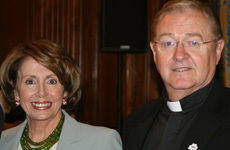 But how could it be otherwise with Brian O’Dwyer and Stella O’Leary at the podium? 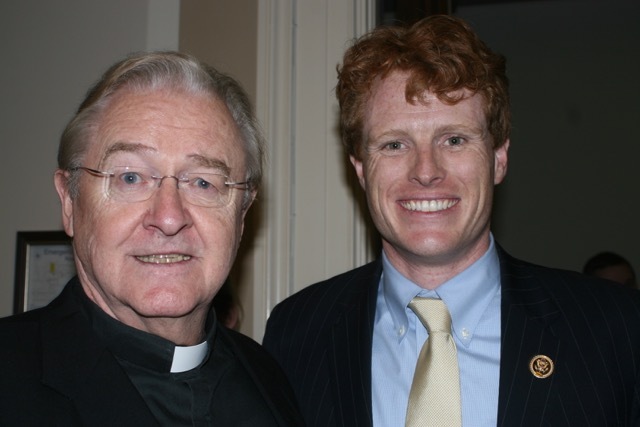 When I was being photographed with Congressman Joe Kennedy, III, I couldn’t help thinking of his Uncle Teddy’s famous speech at the 1980 Democratic National Convention: ‘The cause endures, the dream will never die.’ Also, of course, I was very conscious of his father, former Congressman Joe Kennedy II , son of Bobby.